Nature Phys. 5 (2009) 258. 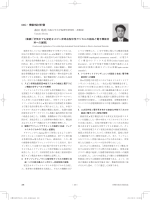 K. Matsuhira et al. : in preparation. (2007) 043706: to be published in J. Phys. Soc. J. Mater. Sci. 41, 31 (2006). Phys. Rev. Lett. 84, 5216 (2000). Phys. Rev. B 69, 92105 (2004). 6496 (2000); M. Enjalran and M.J.P. Gingras, Phys. Rev. B 70, 174426 (2004). H.R. Molavian et al. Phys. Rev. Lett. 98, 157204 (2007). 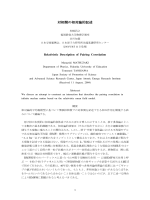 Y. Yasui et al. J.
Phys. Soc. Jpn. 71, 599 (2002). T. Hikihara et al., PRB 78, 144404 (2008). J. Sudan et al., PRB 80, 140402(R) (2009). M. Sato et al., PRB 79, 060406(R) (2009). L. Svistov et al., JETP Lett. 93, 24 (2011). H. Manaka 他: JPSJ 78 (2009) 093701. H. Manaka 他: JPSJ 80 (2011) 掲載決定. P. Lacorre 他: JMMM 66 (1987) 219. Condens. Matter 19 (2007) 406213.
extremes will a highly frustrated physicist go?" magnetricity: the magnetolyte properties of spin ice"
and Anomalous Transport in 4f based Kondo Lattice Systems"
Ice Ground States in Ising-like Pyrochlores"
ice detected by muon spin relaxation"
coupled systems on frustrated lattices"
insulator in correlated electron systems with strong spin-orbit coupling"
quasi-1D frustrated spin-1/2 Systems with CuO2 ribbon chain"
15:45 - 16:15, Steve Julian, University of Toronto, "Metallic frustrated spin systems"
scattering studies of honeycomb and triangular antiferromagnets"
9:45 - 10:15, Shigeki Onoda, RIKEN, "New pyrochlore spin liquids"
in a magnetic field: relation to Mott physics"
lattice in triangular-lattice antiferromagnets in applied fieds"
in quasi-two dimensional frustrated magnets"
behaviors of the triangular and kagome lattice quantum"
field -induced Neel order on the honeycomb lattice"
triangular spin system, TNN・CH3CN, in magnetic fields"
structures in frustrated magnets by means of polarized neutrons"
anti-ferromagnetic XY model on a triangular lattice and their critical properties"
Hubbard model in triangular lattice with internal degrees of freedom"
triangular-lattice Heisenberg antiferromagnet in a magnetic field"
 H. Wadati, et al., arXiv:1101.2847v1. model”, S. Okumura, H. Yoshino and H. Kawamura, Phys. Rev. B 83, 094429 (2011). 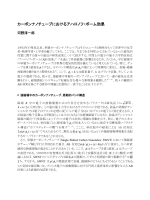 by 51 V NMR.”, Y. Shimizu, K. Okai, M. Itoh, M. Isobe, J-I. Yamaura, T. Yamauchi, and Y.
Ueda, Phys. Rev. B 83 (2011) 155111/1-8. and Y. Ueda, Solid State Phenomena 170 (2011) 17-20. Mikio Takano, Werner Paulus, and Hiroshi Kageyama, Inorg. Chem. 50, 3988-3995 (2011). Takumi Kikegawa, Mikio Takano, Kazuyoshi Yoshimura, and Hiroshi Kageyama, J. Am. Chem. Soc. 133, 6036-6043 (2011). Yoshimura, and Hiroshi Kageyama, Dalton Trans. 40, 4065-4613 (2011). S. Kasahara, T. Terashima, Y. Kobayashi, K. Yoshimura, and H. Kageyama, App. Phys. 576. “Magnetization plateaus of the spin-1/2 kagome antiferromagnets volborthite and vesignieite”, Y. Okamoto, M. Tokunaga, H. Yoshida, A. Matsuo, K. Kindo and Z.Hiroi: Phys. Rev. B 83;, 180407/1-4 (2011). NiGa2 S4 ”, Y. Nambu and S. Nakatsuji: J. Phys. : Condens. Matter 23;, 164202/1-10 (2011). Rb4 Mn(MoO4 )3 ”, H. Yamaguchi, S. Kimura, R. Ishii, S. Nakatsuji and M. Hagiwara: J. Phys. Soc. Jpn. 80;, 064705/1-5 (2011). Eu2 Ir2 O7 ”, S. Zhao, J. Mackie, D. MacLaughlin, O. Bernal, J. Ishikawa, Y. Ohta and S.
Nakatsuji: Phys. Rev. B 83;, 180402/1-4 (2011). Spin States of Pr2 Ir2 O7 ”, L. Balicas, S. Nakatsuji, Y. Machida and S. Onoda: Phys. Rev. M. Tokunaga, T. Sakakibara, N.Kawashima, Y. Maeno, C. Broholm, D. P. Gautreaux, J. Y.
Chan and S.Nakatsuji: Europhys. Lett. 94;, 17001/1-5 (2011). 582. “Quasi-one-dimensional spin dynamics in d-electron heavy-fermion metal Y1−x Scx Mn2 ”, M.
Miyazaki, R. Kadono, M. Hiraishi, T. Masuda, A. Koda, K. M.Kojima, T. Yamazaki, Y.
Tabata and H. Nakamura: J. Phys. Soc. Jpn. 80;, 063707/1-4 (2011). T. Ishikura, M. Soda, T. Asaka, H. Nakamura, Y. Wakabayashi, T. Kimura, Appl. Phys. Lett. 98, (No.21) 212504/1-3 (2011). J. Phys. Soc. Jpn. 80, (No.3) 033704/1-4 (2011). 587. “Spin-Wave Spectrum in ’Single-Domain’ Magnetic Ground State of Triangular Lattice Antiferromagnet CuFeO2 ”, T. Nakajima, S. Mitsuda, T. Haku, K. Shibata, K. Yoshitomi, Y.
Noda, N. Aso, Y. Uwatoko, N. Terada, J. Phys. Soc. Jpn 80 (No.1) (2011) 014714/1-4. 588. “Appearance of a Large Magnetization at Elevated Temperatures in Nearly Antiferromagnetic α-Fe2 O3 ”, Y. Yui, S. Ito, J. Mizuguch, Y. Ishikawa, R. Kiyanagi, Y. Noda, Jpn. J.
Appl. Phys. 50 (No.1) (2011) 013003/1-9. T. Arima, J. Phys. Soc. Jpn. 80, (No.5) 052001/1-14 (2011). T. Arima, J. Am. Chem. Soc. 133, (No.14) 5338-5345 (2011). and M. Miyayama, Ferroelectrics, 414, 24-29 (2011). Pb(Zn1/3 Nb2/3 )O3 -9%PbTiO3 ”, K. Ohwada, J. Mizuki, K. Namikawa, M. Matsushita, S.
Shimomura, H. Nakao, and K. Hirota, Phys. Rev. B 83(22), 224115/1-7 (2011). 594. “Metal-Insulator Transition and Magnetic Order in the Pyrochlore Oxide Hg2 Ru2 O7 ”, M.
M.Isoda, H.Nakano and T.Sakai: Mod. Phys. Lett. B 25 (12&13), 909-915 (2011). Antiferromagnet”, H.Nakano and T.Sakai: J. Phys. Soc. Jpn. 80(5), 053704/1-4 (2011). 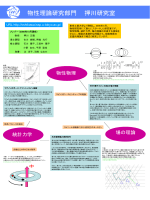 and XXZ Anisotropies”, T.Tonegawa, K.Okamoto, H.Nakano, T.Sakai and K.Nomura: J.
Phys. Soc. Jpn. 80(4) 043001/1-4 (2011). 598. “Critical magnetization behavior of the triangular- and kagome-lattice quantum antiferromagnets”, T.Sakai and H.Nakano: Phys. Rev. B 83(10), 100405(R)/1-4 (2011). 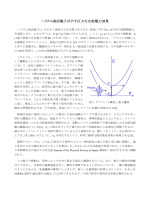 T.Sakai and C.Itoi: Physica E 43, 769-772 (2011). 601. “Competing phases in spin-1/2 J1-J2 chain with easy-plane anisotropy”, M. Sato, S. Furukawa, S. Onoda, and A. Furusaki, Mod. Phys. Lett. B 25(12&13), 901-908 (2011). T. Hikihara and T. Nishino, Phys. Rev. B 83(6), 060414(R)/1-4 (2011). liquid phase of spin-1/2 frustrated ferromagnetic chains”, M. Sato, T. Hikihara, and T.
Momoi, Phys. Rev. B 83(6), 064405/1-10 (2011). 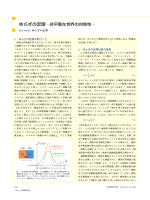 by 51 V NMR”, Y. Shimizu, K. Okai, M. Itoh, M. Isobe, J. Yamaura, T. Yamauchi, and Y.
Ueda, Phys. Rev. B, 83, 155111/1-8 (2011). H. Sakurai, J. of Phys. : Conf. Ser., 273, 012142/1-4 (2011). 606. “Anisotropic hyperfine coupling in vanadium oxides”, Y. Shimizu, H. Takeda, M. Tanaka, M.
Conf. Ser., 273, 012128/1-4 (2011). 607. “Competition between vanadium tetramerization and trimerization in Ba1−x Srx V13 O18 ”, M.
Ikeda, T. Okuda, K. Kato, M. Takata, and T. Katsufuji: Phys. Rev. B 83, 134417/1-5 (2011). 608. “Magnetic susceptibility and specific heat of a spinel MnV2 O4 single crystal”, M-W. Kim, J.
S. Kim, T. Katsufuji, R. K. Kremer: Phys. Rev. B 83, 024403/1-9 (2011).